After years of waiting and wanting I got the phone call. Usual afternoon at work and I receive a phone call from an unknown number; “do you remember applying for an allotment?” the voice on the other end says, “yes” I reply. 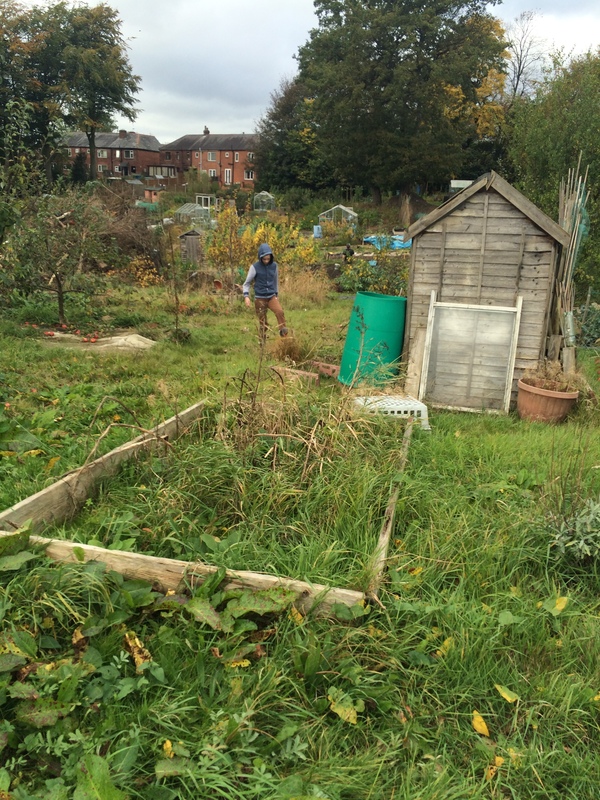 A long time ago (in another universe) I applied for quite a few allotment sites, I really had thought that I wouldn’t get one. “Are you still interested?” the voice asked. Well of course the answer was yes and I am now the proud tenant of plot number 80. Top right looking down to the bottom of the plot. Daughter number two inspecting the weeds. 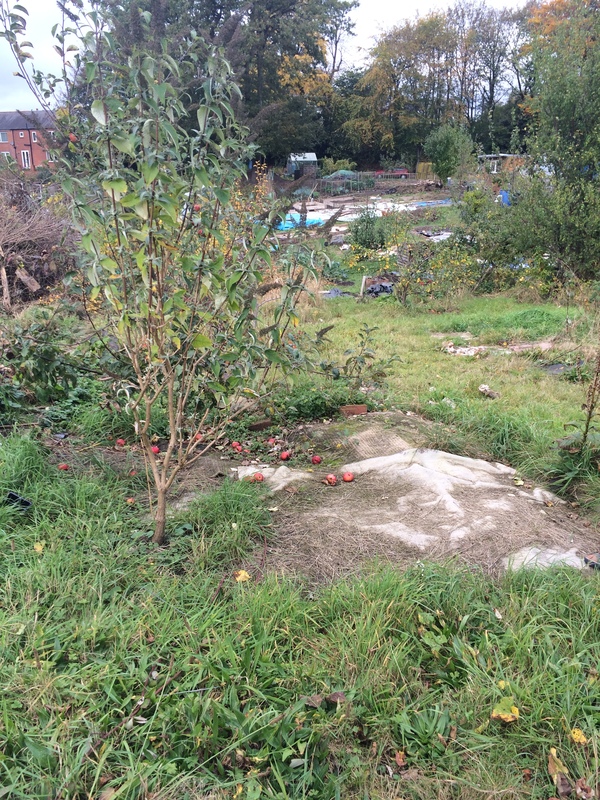 My new plot is in a bit of a state! Now we’re not talking biblical proportions here, there is no nuclear waste, no hobo living in the shed, the skies do not turn grey the moment you set foot on the plot. It’s just a bit overgrown. The last tenants just didn’t have time anymore and gave it up. Mid way on the left looking down to the bottom of the plot. So what have I got myself into? As you can see from the photos it really is a big plot, although how big I don’t exactly know (should probably measure it). 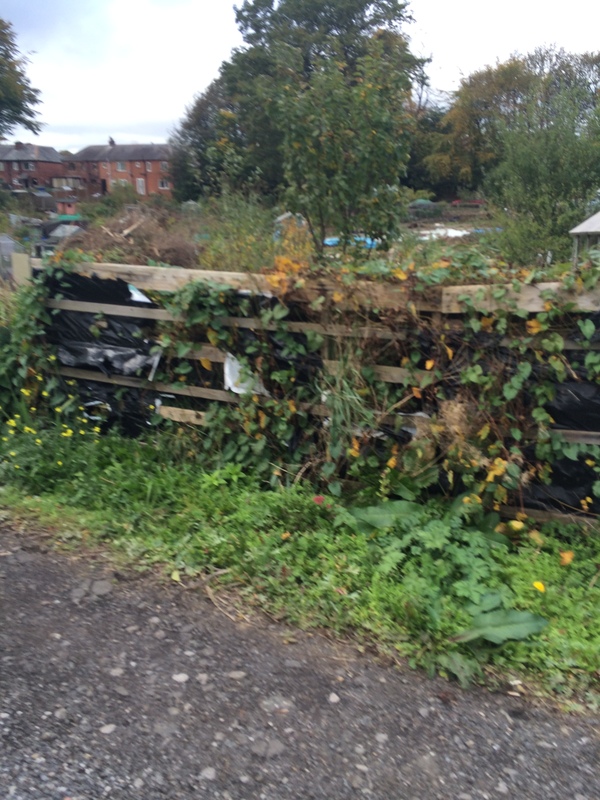 It has a shed (even a hobo wouldn’t chance it), four apple trees, a composting station (the station itself seems to be in the process of composting), some raspberry canes, strawberries and leaf mold cage (somewhere under the Convolvulus arvensis). It’s a fixer-uper! Right at the top of the plot. Composting station. I’m probably a bit mad, but I have never been so excited by a challenge, and I do like challenges. I’m looking forward to learning loads, meeting new people, getting a bit fitter and hopefully dropping some pounds, growing some cracking produce and just entering into what hopefully will be a healthier (all round) portion of my little life and my families. …….. Well that proves it, I can be optimist aswell!